Letter of acknowledgement for a check for $10.92 for her order of Brace Up Thoughts. 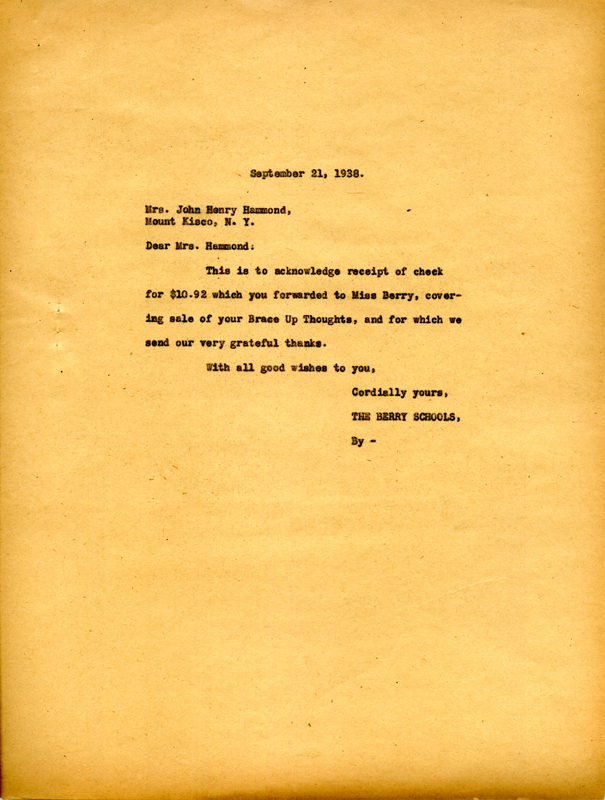 The Berry Schools, “Letter to Mrs. John Henry Hammond from The Berry Schools.” Martha Berry Digital Archive. Eds. Schlitz, Stephanie A., Jessica Hornbuckle, Camille Hanner, et al. Mount Berry: Berry College, 2016. accessed April 21, 2019, https://mbda.berry.edu/items/show/14363.